Einfaches Erstellen von Videos, Handouts, Anleitungen und interaktiven Trainingsinhalten in HTML5 oder Flash. 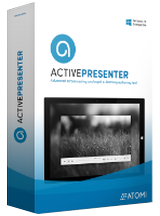 Active Presenter Pro 5.5.3 war am 30. November 2015! als Giveaway verfügbar! 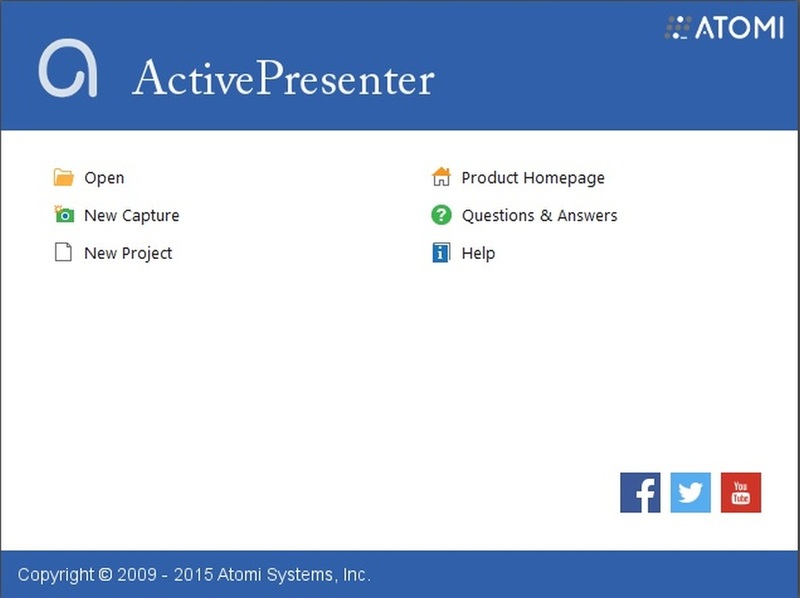 ActivePresenter ist ein Tool zum Erstellen von Screencast-Videos, Handouts, Anleitungen und interaktiven Trainingsinhalten in HTML5 oder Flash. Mit seinem leistungsstarken Editor ermöglicht euch ActivePresenter das Einbetten und Bearbeiten von mehreren Audios/Videos sowie das Annotieren und Anpassen des Endprodukts. HTML5-Support und die Möglichkeit, SCORM-compliant LMS zu integrieren, erlauben es euch, mit ActivePresenter erstellten Inhalten auf praktisch alle Geräte und Plattformen zu übertragen. Darüber hinaus können diese in mehrere Output-Formate wie z.B. Video (MP4, AVI, WMV, MKV, WebM), HTML5, Flash, PDF, Word und PowerPoint mit nur wenigen Klicks konvertiert werden. Download und Installation haben ohne Probleme funktioniert! Vielen Dank! Wenn das Installationsprogramm von Giveaway Verbindung aufnimmt, erscheint immer die Nachricht, dass die Installationsdatei kaputt ist. Ich habe sie inzwischen dreimal heruntergeladen, doch kommt die Meldung immer wieder. Ich hätt's gern installiert- aber wie mach' ich das mit dieser gcd-Datei?????? Klappt bei mir nicht. Simple installation and registration and on opening and easy to read interface. From a quick test of the program everything went smoothly and it was easy to use at a very basic level. My six-year-old granddaughter has become interested in the ships I sailed on, but she lives in a house that only uses Linux and Mac. So I've been looking for some method of making images and combining them with audio to pass to her in a format other than video. This program looks like it could be a good start as are many methods of export other than video which will do the job as they are cross-platform formats. As stated at a basic level it is simple to use, but it appears to have much more potential once you get used to using it. I'm certainly willing to give it a go as it is pleasing to use. Simple installation and registration and on opening and easy to read interface. From a quick test of the program everything went smoothly and it was easy to use at a very basic level. My six-year-old granddaughter has become interested in the ships I sailed on, but she lives in a house that only uses Linux and Mac. So I've been looking for some method of making images and combining them with audio to pass to her in a format other than video. 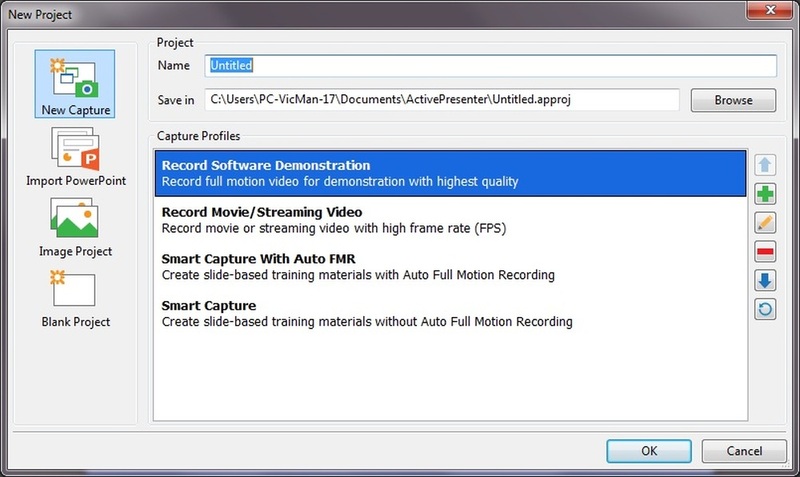 This program looks like it could be a good start as are many methods of export other than video which will do the job as they are cross-platform formats. As stated at a basic level it is simple to use, but it appears to have much more potential once you get used to using it. I'm certainly willing to give it a go as it is pleasing to use. After trying the program for a couple of hours pleased to report that it has behaved flawlessly. Was able to create images of my ships and attached audio to each image which could then be played back sequentially, found best done in HTML 5 simulation. The audio was in MP3 format, the program created an OOG also, this increased the output folder size considerably, erasing them had no noticeable effect as to how the program ran. The above is only using the program at a very basic level, it has much more potential than I am exploiting. A very impressive piece of software; I'm not going to complain about the price, high as it is, for the simple reason that a great deal of development has gone into producing it. Must admit I absolutely loved it is a program and it couldn't have come at a more opportune moment for my quest to produce a slideshow for my granddaughter. After trying the program for a couple of hours pleased to report that it has behaved flawlessly. Was able to create images of my ships and attached audio to each image which could then be played back sequentially, found best done in HTML 5 simulation. The audio was in MP3 format, the program created an OOG also, this increased the output folder size considerably, erasing them had no noticeable effect as to how the program ran. The above is only using the program at a very basic level, it has much more potential than I am exploiting. A very impressive piece of software; I'm not going to complain about the price, high as it is, for the simple reason that a great deal of development has gone into producing it. Must admit I absolutely loved it is a program and it couldn't have come at a more opportune moment for my quest to produce a slideshow for my granddaughter. Don't forget to go into Preferences... Miscellaneos tab and deselect "Automatically Check for Updates" as we don't get free updates unless specifically told otherwise by the vendor. Installed on windows 10 x64. Nice simple and quick install, however for me the progress bar reached 100% and the installation was still installing for approx 20 seconds. 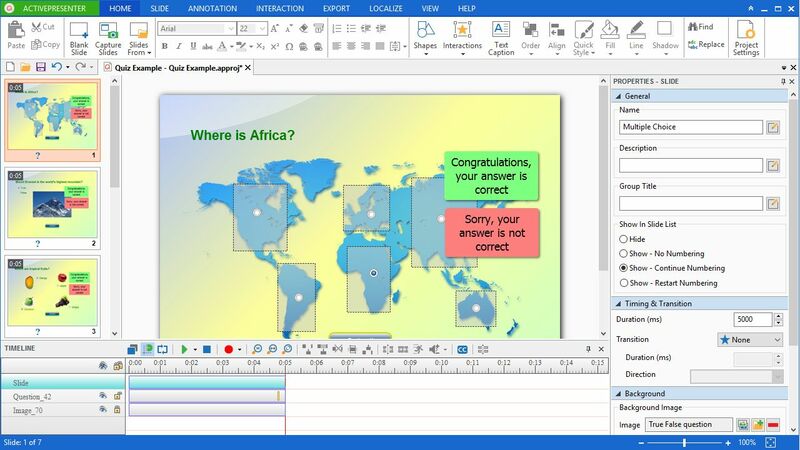 Looks simple to use, had the standard office type of interface. Lots of examples from their home screen, under the demo tab. A quick basic test went ok.
To the 8 people that gave it a thumbs down, please take a moment to post your comments, that helps out all the other downloaders, as well as the program developers, that is the reason they are giving away the software, so you can tell them how to further develope it, and in the process, gets gems for free. Rant over, thanks GAOTH, the app developers and all those that comment regulary. Installed on windows 10 x64. Nice simple and quick install, however for me the progress bar reached 100% and the installation was still installing for approx 20 seconds. 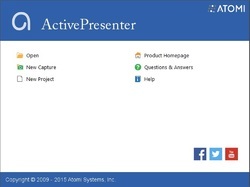 Looks simple to use, had the standard office type of interface. Lots of examples from their home screen, under the demo tab. A quick basic test went ok. A keeper for me. To the 8 people that gave it a thumbs down, please take a moment to post your comments, that helps out all the other downloaders, as well as the program developers, that is the reason they are giving away the software, so you can tell them how to further develope it, and in the process, gets gems for free. Rant over, thanks GAOTH, the app developers and all those that comment regulary.